Mike and Jo Lynne Flesher opened their first Taylor Rental in 1984. They grew their business, serving the Southern Tier area, with great customer service and selection. They built their new store in 1990. Mike & Jo Lynne opened their Ithaca location in 1995 expanding their expertise and market niche into the Finger Lake Region. As always..."Rent the equipment, keep the advice." 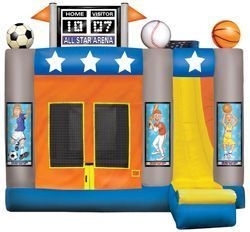 as a general equipment rental center, we soon saw a need for party & event rentals. In a short time we went from a few tents and a handful of tables and chairs to the largest party & event rental inventory in the Southern Tier. We have dedicated ourselves to supplying our customers with the newest and best party supplies & equipment as well as unmatched customer service. Please come and see us at any of our locations during normal business hours. or call us and set up an appointment with one of our certified event rental specialists to go over all your needs. The Certified Event Rental Professional (CERP) is the professional designation for event rental personnel working in the party and event equipment rental industry. CERP graduates have studied rigorous course material and passed examinations for three rental-specific disciplines, validated their commitment in the industry with professional and personal activities, and written an essay composition. The CERP program is administered by the American Rental Association. Taylor Rental Equipment store was opened in vestal in 1977. Serving Contractors and DIYers, Our large selection of quality name brand equipment is well maintained and our equipment professionals are ready to help you find the right equipment for your job. We pride ourselves in providing high quality service and equipment as well as a large selection of products. We are a full service & warranty dealer for Husqvarna power equipment! Stop in and see the full line of Husqvarna mowers, tractors, chainsaws, brushcutters, blowers and more. Our experienced and knowledgeable staff is ready to help you with all your needs for your special event. We offer many services such as delivery and pick up, set up and take down of tables and chairs. We also carry a full line of concession and balloon supplies including popcorn, cotton candy sugar, snow-cone syrup, frozen drink mixes, bubble and fog liquid and butane. Let Flesher take the worry out of your party planning. Call us today and let our staff of professionals help you. Fun for the kids! 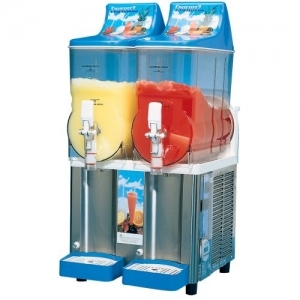 Rent our Frozen Drink Machine at the 1-day rental rate of $59.00!(Reg. $81.00) Print, Mention, or Show us this offer on your phone to receive discount! Not valid with any other discounts or sales. 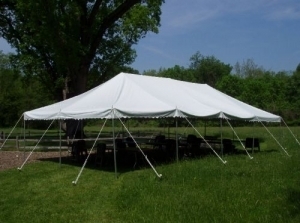 ​Remember to reserve your tents and party supplies early for college and high school graduations! © 2019 Vestal, Ithaca & Corning Taylor Rental. All rights reserved.